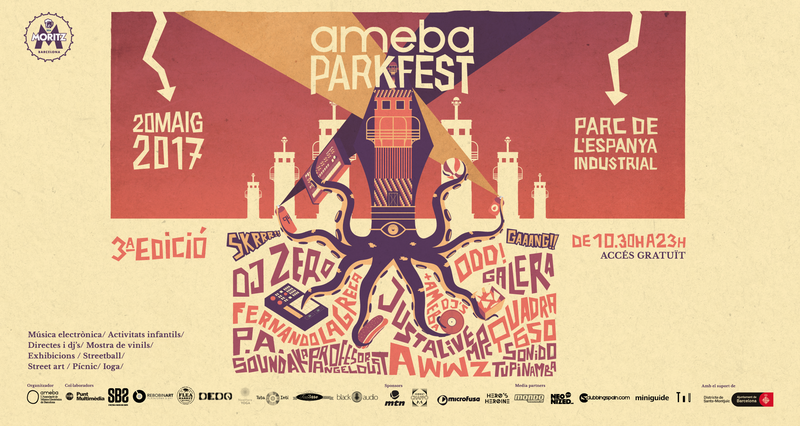 //Client: AMEBA – Associació de Música Electrònica de Barcelona. 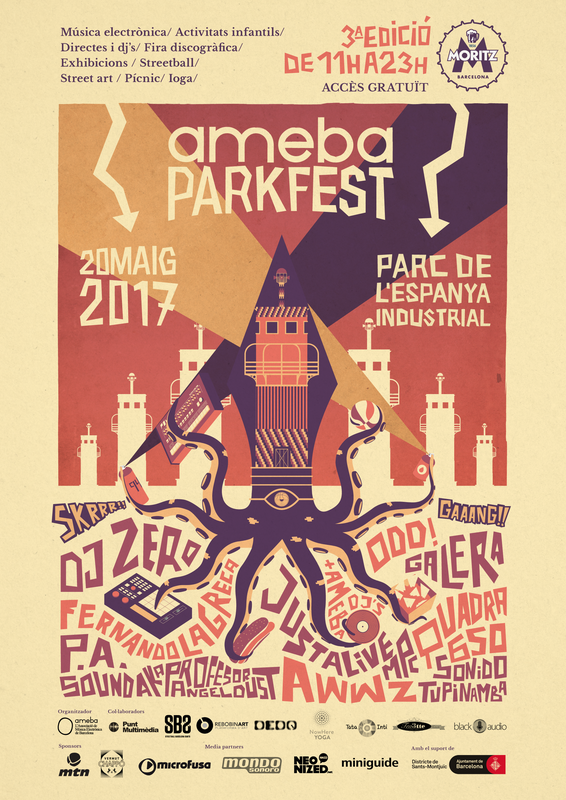 //Project: Campaign for AMEBA PARKFEST 2018 (Festival). 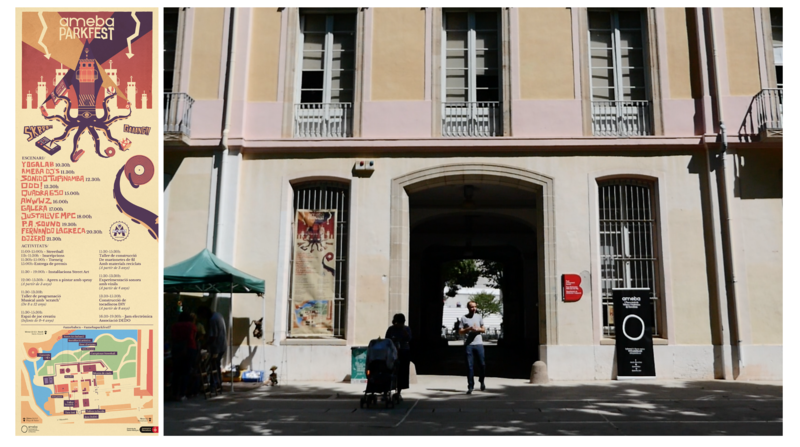 The festival includes in same time, electronic music shows, streetball, street art performances, ioga and other activities for kids. //Artwork application: Illustration / graphic design / web design / motion graphics / signage and many other communication stuff designed by me. // Motion graphics for festival line-up, presenting lives & concerts. // Artwork installations for street artist performances and workshops for kids. 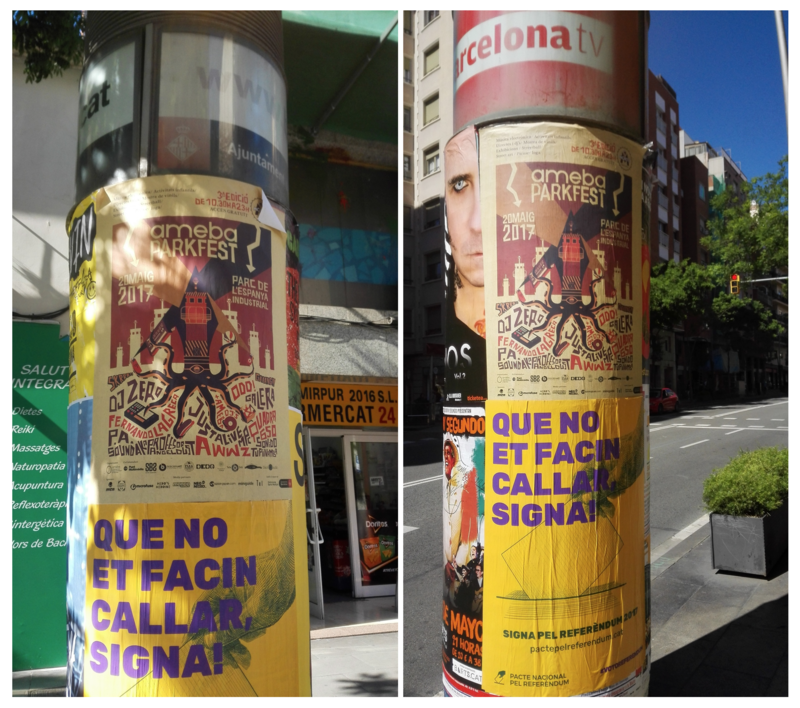 // Graphic applications during the festival. 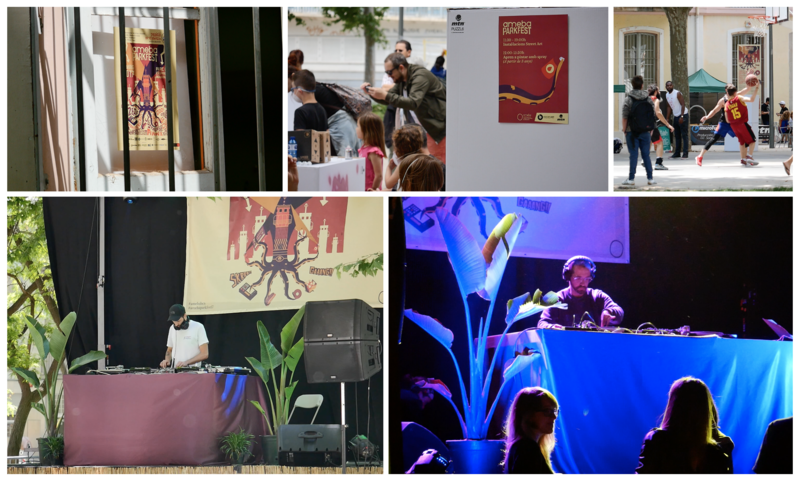 Displays & canvas on stage as well as the signage applied to the festival locations. Watch the flashback video. 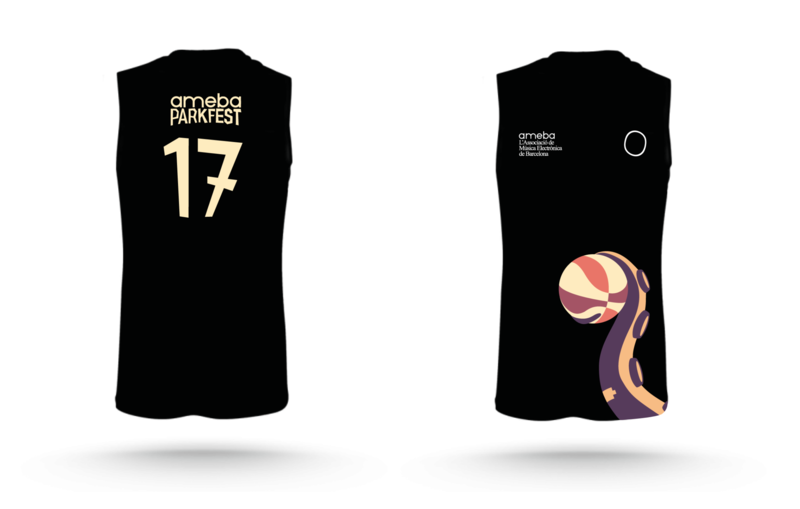 //Also designed a T-Shirt for basketball players during the festival.